As a vibrant community at the heart of the school, the Sixth Form offers excellent academic development coupled with a range of rewarding enrichment activities. It is the ideal friendly and supportive environment in which students currently in Upper 5 (Year 11) at Derby High School and those joining us from other schools can thrive. We are delighted to announce that from September 2019 we will welcome boys into Year 12 (Lower Sixth). At Derby High we are extremely proud of our excellent exam results and are again this year the top performing school in Derby and the surrounding area (see Daily Telegraph league tables). At A level, 44% of all grades achieved were at A*- A and 68% were at A* - B, ensuring our students successfully gained places at prestigious universities for some of the most competitive courses. We believe in keeping our classes small so that you really get to know your teachers and in turn they can stretch you or provide extra help if you need it. You will also have your own personal tutor who will support you throughout your time here and guide you through the higher education application process. We know that this is one of the most important times in your life and we want to help you achieve your full potential, both personally and professionally, as you make your way into the world of university and work. If you would like to arrange a visit to Derby High to see for yourself the opportunities we offer, please contact our Registrar: admissions@derbyhigh.derby.sch.uk / 01332 514267. 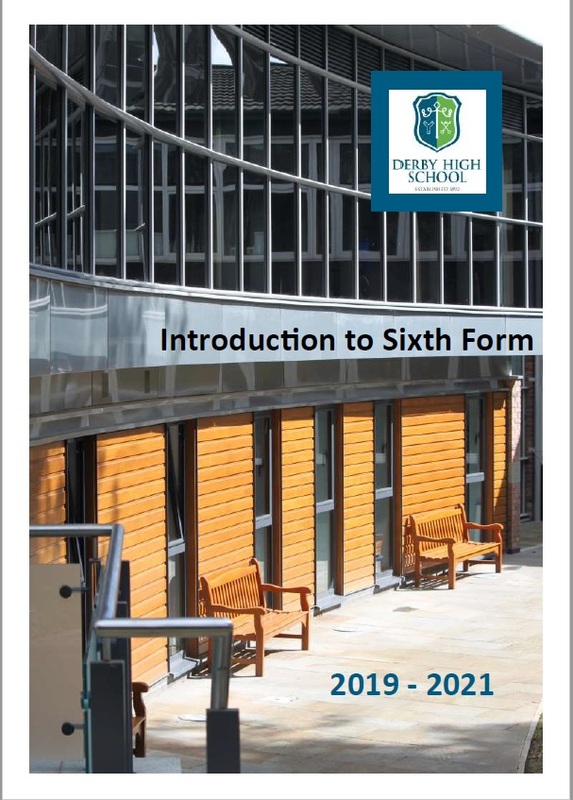 Please click on the image below to download a copy of our Introduction to Sixth Form booklet.